1. 1.Police Academy 4: Citizens on Patrol (1987) – This is David’s first acting credit, and at the tender age of 23 he simply sparkles as Kyle, a troublemaking skateboarder who is recruited to be one of the aforementioned “Citizens on Patrol.” Look at his hair flipped in full 80s/Farrah Fawcett glory. Fun trivia fact: Tony Hawk was fired from being David’s skateboarding stunt double because he was too tall. So much charisma in such a small package. 1. 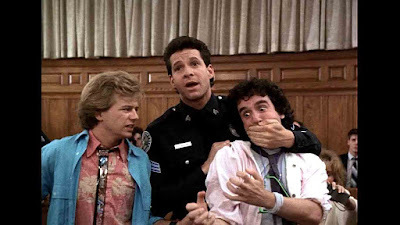 Reality Bites (1994) – I know what you’re thinking – “wait, was he even in that?” The answer is yes, uncredited in one scene. True, it’s not exactly a David Spade vehicle, so much as an amuse-bouche of the charming sarcasm that he would come to be known for. 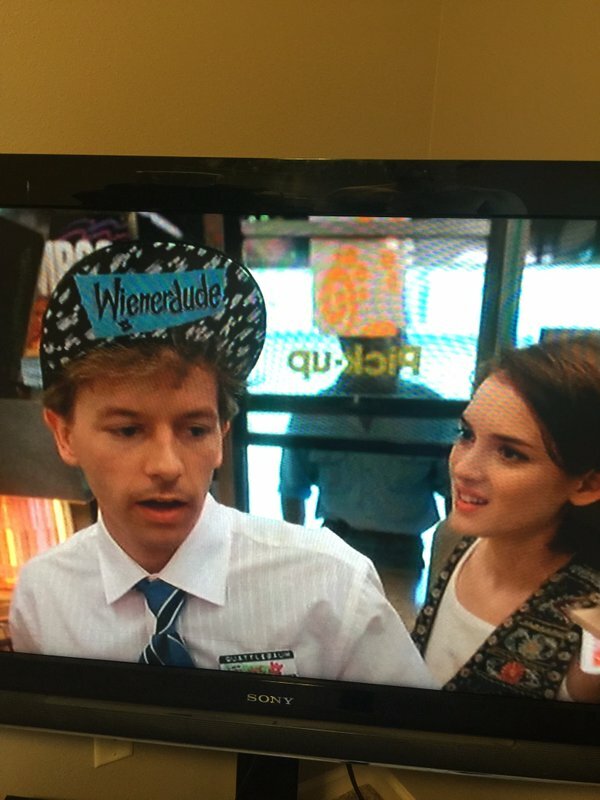 As the Manager of a well-known hotdog chain, David puts Winona Ryder in her place. You can tell she thinks she is too good for the job, and his witty banter quickly lets her know that her degree in Media Studies is as worthless as we all know it is. I’m also left wondering about this character. What are the hopes and dreams of this hot dog vendor Manager? That’s a movie, and a classically American story, I’d like to see. 1. 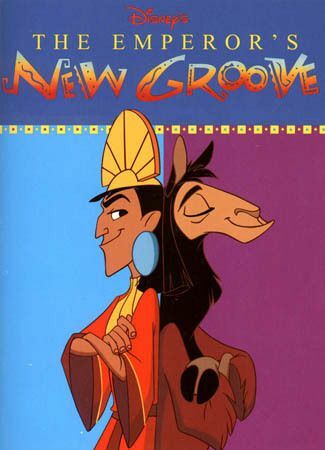 The Emperor’s New Groove (2000) - Yeah, I was 19 and saw this cartoon in the theater just because David Spade was the star. Maybe you’re the one who needs to find something better to do with her life. There’s not a lot of story here: Emperor wants to build a waterslide on peasant’s house. Ertha Kitt turns Emperor into a llama. Peasant helps turn him back into an Emperor, and the waterslide gets build on the next hill over. I’m going to dock points because this film obviously lacks historical accuracy, but playwright David Mamet has said he considers the script for this film to be one of the most brilliantly innovative which Hollywood has produced in recent years. You be the judge. 1. Joe Dirt (2001) – I like this film, because Spade veers off the well-worn road of biting sarcasm into naked earnestness. 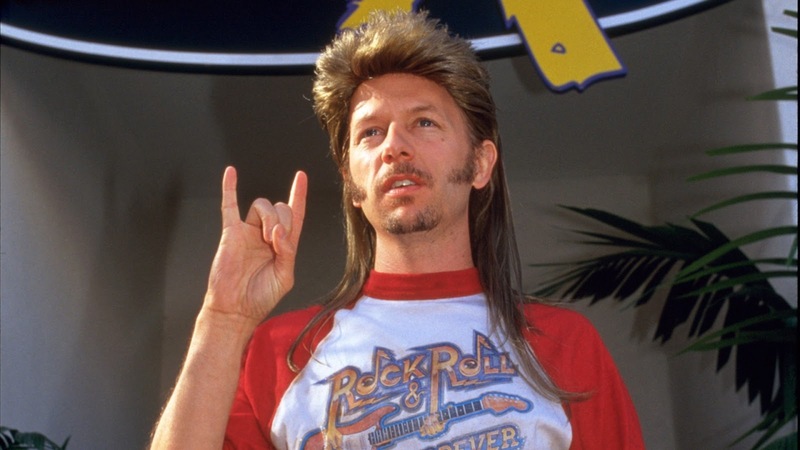 His mullet is visually stunning, and David Spade and Fred Wolf are master wordsmiths. This film holds up, and teaches a few lessons along the way. Life’s a garden, dig it? You can’t have no in your heart. 1. 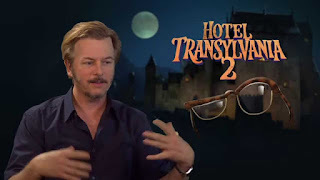 Hotel Transylvania 2 (2015) – Why Hotel Transylvania 2? Because Netflix doesn’t think it’s necessary that I see the original, so this is all I’ve got. It’s another ensemble movie, but there’s just enough David Spade sprinkled in that when my kid insists on watching in for the 300th time, I’m game. He plays the invisible man, so he has only his voice to convey the depth of his character.